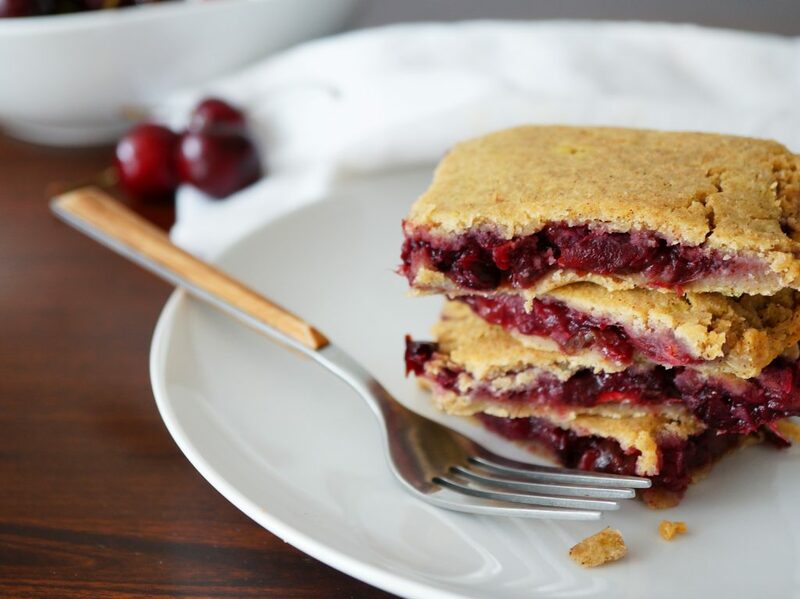 These Cherry Pie Bars have become a classic summertime treat in our household. Perfect for the Fourth of July or any other summer holiday weekend. The crust is made of sweet potatoes and coconut flour and has a buttery shortbread taste. The filling has that classic gooey, sticky fruitiness from cherries, dates and a bit of tartness from lemon. I also love how simple the ingredients are in this recipe! 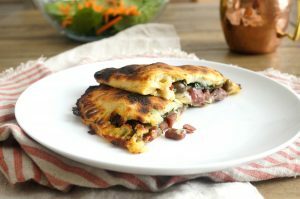 I love how the crust is made from vegetables and the filling from fruit. These are a great option if you’re limiting your sugar intake but still want a little sweet treat to celebrate. I’ll be doing a blog post on a recent liver detox I did that eliminated sweeteners. It really reset my palate so fruit has become a dessert for me now (and one I enjoy every single day). I have a lot of other sweetener-free desserts like my Caramel Vanilla Bean Ice Cream, Skillet Apple Crumble, Paleo Baby Birthday Cake, Banana Ice Cream and Frosted Carrot Cupcakes too! Want to make this using another summer-y fruit? Try an equal amount of blueberries, strawberries or blackberries! In fact, ripe mulberries would be awesome here too! We were just in Nebraska this past weekend and I was picking fresh ripe mulberries off the trees on my runs. A little dine and dash, if you will. Grain-free crust made from sweet potato AND tastes like shortbread with a sugar-free cherry pie filling… sign me up, sign me up, sign me UP! How cute is this Paleo Baby Birthday Cake made from sweet potato, beef tallow, carob, avocado and coconut flour!? It’s free of all grains, dairy, nuts and sweeteners which means it fits the bill for any real food baby, toddler or adults big day! I cannot comprehend how my baby girl is going to be a one-year-old next month. My pre-baby life seems like an eternity away but only 365 days will have passed. They have been filled with emotions at every extreme and not a ton in the middle. Lots of laughing, smiling, heart-bursting joy but also my fair share of tears, frustration, anger and fatigue. Motherhood is by far the hardest journey I’ve ever been on inclusive of my journey with Hashimoto’s and infertility. I spent many nights of my pregnancy up with anxiety about how I would be able to be the 24/7 guide for another life form. It’s just as hard as I thought it would be, but you take the good with the bad and you let the good keep you going. I wanted to take some time today to reflect on what I’ve learned in the last year. You can skip ahead to the recipe if you’d like; this will just be my form of self-therapy. Having your heart beat outside of your chest and inside the body of another human being is the scariest, most gut-wrenching feeling I can imagine. Every time I hear her cry my cortisol shoots up and I get a pit in my stomach. I know I can’t protect her from everything but I sure wish I could. Watching the news is near impossible for me now, traveling by airplane is a feat, and I’ve had to unpack a lot of post-partum anxiety lately. I know it’s normal, especially for someone who defaults on the anxious side, but it still needs to be addressed lovingly. I am intrinsically terrible at asking for help. I really need to work on that (but I’ve come a long way since she was a newborn). Even though I’m a stay-at-home mom right now, I have a nanny who comes 6 hours a week so I can go work at a coffee shop, go to the dentist or get a pedicure. This has been extremely beneficial for my mental health. I’ve also started asking my husband for more help around the house. In fact, he vacuumed and steam-cleaned all the floors yesterday (amen, thank you to my incredible hub). I’m not afraid to tell people no anymore. I used to say “yes” to everything that was asked of me, whether or not it benefited me or not. I am a giver and a helper by nature, and I also have an easily ignited guilty conscience (hello, kindling for autoimmunity and flares). Now if my gut tells me that a particular commitment is going to add stress to my life in an unproductive way, I say no and don’t feel bad about it. The book “Non-Violent Communication” has REALLY helped me with this. If someone is offended, disappointed or pissed off, oh well. Life is too short and modern life is too stressful already to constantly cater to others’ needs before your own. There are no words for the love you have for your child. I cannot even attempt to describe the immensity of my love for my daughter. The fact that Hallmark tries to capture a mother’s love in a 100-word card baffles me. NO WORDS. 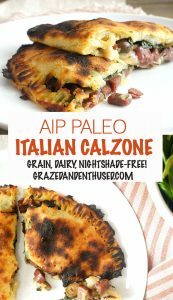 Okay let’s talk PALEO AIP BABY SMASH CAKE! 1) I didn’t think I could come up with a suitable cake that doesn’t have any grains, dairy, eggs, nuts or sweeteners (even natural ones like maple). 2) I wasn’t sure how I felt about getting her started on treats this early. What changed my mind: I didn’t want to regret not having an adorable, messy photo shoot of my daughter going ham on some cake. It’s an iconic photo!! My first attempt included a similar birthday cake that was made with sweet potato, avocado and banana but the banana constipated her severely, so that was a big no-go! I landed on this version made from sweet potato (which adds sweetness, moistness, density & acts as a binder), beef tallow (healthy fat and it gives the cake its “donut” taste! ), coconut flour (to help hold it together), cinnamon (adds a little sweetness without sugar), baking soda (for fluffiness) and an egg replacer (your choice: chia “egg” or gelatin “egg”). The frosting has the consistency of pudding and is made from a whole avocado, carob powder (a ‘chocolate’ flavor without the caffeine), coconut milk and a touch of coconut oil. The coconut oil helps thicken the frosting once it is refrigerated so that is goes on smoothly. The texture of this cake is great for babies because it is soft, squishy and sort of melts in your mouth. I can only closely describe it to a pudding cake, if you’ve ever had one of those! The frosting in between each layer adds moisture too. I was concerned about making a cake that was too dry, her grabbing a giant bite and choking on it on her birthday. Again, still working on that new mom anxiety (eek). 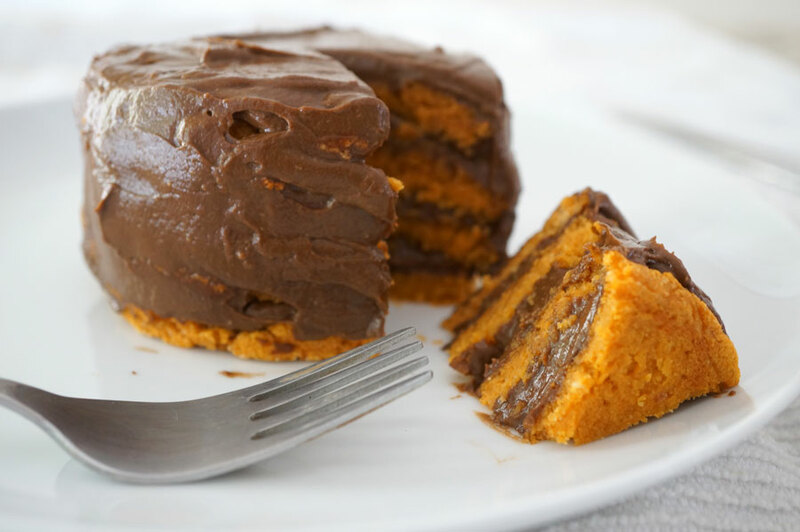 This Paleo birthday cake is mom-approved in taste, ingredients & cute factor! Please tag me in your messy baby birthday cake photos on Instagram or Facebook! I don’t recommend many substitutions here! All ingredients have a purpose. For example, the beef tallow is what gives the cake it’s fried donut taste (pre-cheap industrial oils, donuts and french fries were fried in delicious tallow!) If you replaced it with another solid fat like lard, it would definitely change the taste. For a baby, they won’t notice, but if you want to pick at the leftovers you may not enjoy it as much! I don’t recommend adding sweetener, it’s not necessary. If your baby does well with eggs, you can definitely use an egg in place of the gelatin or chia “egg”. No other grain-free flour will work here. Coconut flour has unique binding and moisture-absorbing properties. I would not use tapioca or arrowroot in its place of you’ll get a very gummy cake. You may leave out the cinnamon if your baby has an intolerance to it; the flavor will be slightly altered and it won’t be as sweet or donut tasting. You can replace the avocado in the frosting with coconut cream most likely in a 1:1 ratio. I prefer avocado because of the fiber and other nutritional properties that make it easier to digest than something as high in fat as coconut cream. Happy Birthday, Baby! 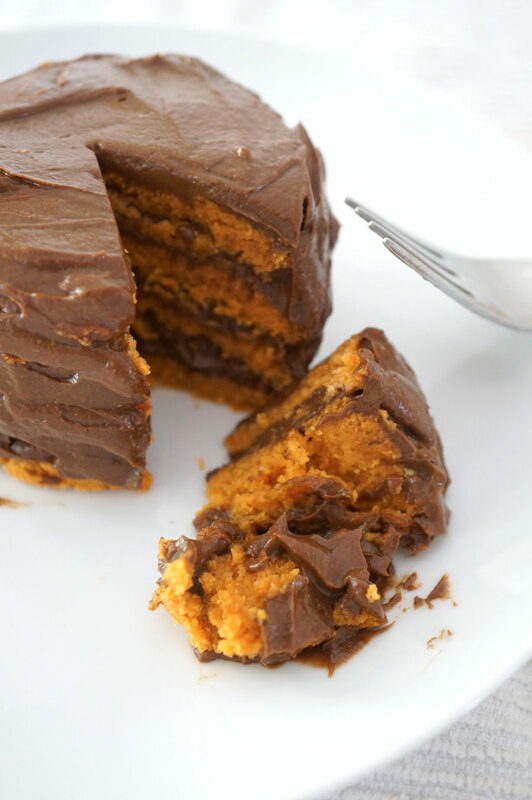 Get as messy as you want with this allergy-friendly sweet potato & “chocolate” cake! Preheat oven to 350 degrees. Line a baking sheet with parchment paper. Have a 3-inch biscuit cutter handy for easy preparation of cake layers. Prepare the cake. 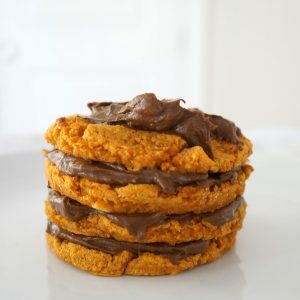 In a food processor, combine the 1 cup mashed and cooled sweet potato with the coconut flour, beef tallow, baking soda and cinnamon until smooth. Prepare the gelatin or chia "egg" according to directions in notes below. With the machine running, drizzle in the "egg" along with the lemon juice and combine for 30 seconds until smooth. Place biscuit cutter on baking sheet. Scoop 1/4 cup batter in the cutter and use wet hands to smooth batter into an even circle. Remove biscuit cutter carefully. Repeat this step 3 more times for a total of 4 3-inch mini cakes. Meanwhile, while the cakes are baking prepare the frosting by combining all ingredients in a clean food processor until very smooth. Transfer frosting to a glass bowl and keep in fridge while the cakes cool. To frost the cake: Transfer 1 layer to serving plate. Apply generous layer of frosting on top using a butter knife or mini spatula. Repeat with remaining 3 layers, ensuring you save enough frosting to frost outside of cake too! Store cake in fridge until ready to serve! Leftovers can be stored for up to 5 days! I ate her leftovers cold for breakfast and they seriously filled my donut void! Chia Egg: Grind 3 tablespoons of whole chia seeds in a clean coffee or spice grinder. Measure out 1 tablespoon of ground chia and mix with 3 tablespoons of cool water. Let sit in the fridge for 10 to 15 minutes to thicken. AIP OPTION Gelatin Egg: Whisk 1 tablespoon gelatin with 1 tablespoon cool water until frothy. Whisk in 2 tablespoons of hot water until thickened. Immediately use your gelatin egg where call for in the recipe. 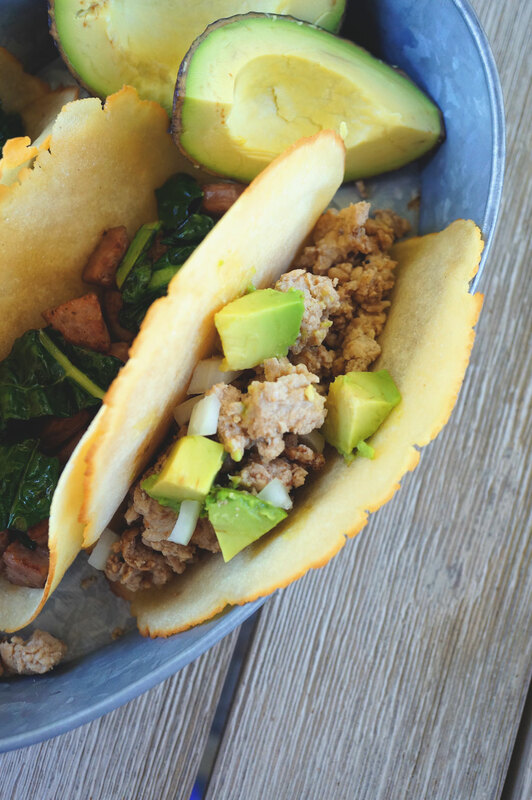 There’s nothing that quite gets the Paleo community hot & bothered like a good tortilla. We all just like to roll, stuff, and crunch our way into meat & veggies. Nothing wrong with that, my friends. I used to buy Siete Cassava & Coconut Flour Tortillas but I haven’t been able to find them in my neighborhood! 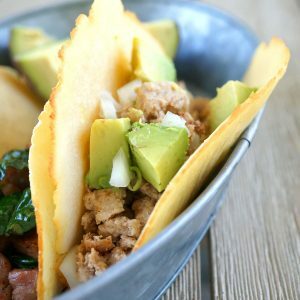 They’re pretty yummy – thin, flexible and taste close to a flour tortilla! When cooked they are soft and crispy-fried. I just can’t afford to buy them regularly, so I wanted to make my own AIP-friendly tortilla at home more affordably! My Plantain Wraps in The Healing Kitchen are another option. They’re quite popular among the THK Ride or Dies – pliable, soft and fluffy! They make excellent wraps too, but they aren’t super thin like a traditional tortilla and don’t have the taste of a flour or corn tortilla. But if you are looking for a plantain-based option – there you go! 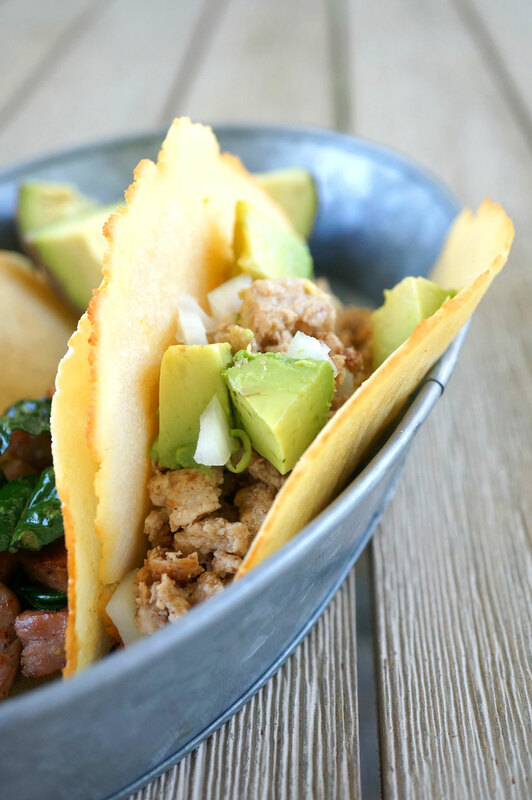 Fill your tacos with your favorite protein, avocados & toppings! I chose ground chicken, avocado, onion and cilantro and then sausage and kale! 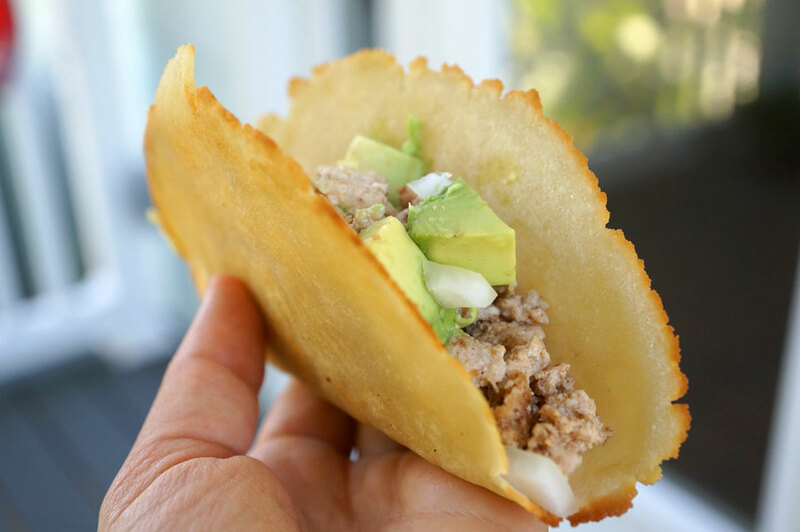 These Paleo Tortillas are made with just a few simple ingredients: arrowroot and coconut flours, olive oil, baking soda and sea salt. Instead of cooking them on a stovetop, which can be really tricky, I bake these in the oven. I actually based the recipe on my Pizza Crust because so many of you were telling me you would use the pizza crust recipe as a wrap! I changed up the ratios and technique though – once baked into 6-inch tortillas they are lightly pan-fried in beef tallow so you can eat them as “soft” or “hard” tortillas. A note on substitutions: Tapioca starch is generally replaceable for arrowroot starch, but I have not tried it myself in this recipe. You can replace the olive oil with avocado oil, but I prefer the taste of olive oil in tortillas. I link to the baking soda and cream of tartar I use. If you cannot find cream of tartar, you can use the same amount of apple cider vinegar, but your tortillas won’t be quite as soft. It’ll still work though! Okay I think I covered all the inevitable substitution questions! If Taco Tuesday isn’t already your thing, it’s about to be! Preheat oven to 400 degrees. Line two large baking sheets with parchment paper. Set aside a separate 8 square inch piece of parchment paper for step 3. In a food processor, combine all ingredients except the warm water until well combined. With the machine running, slowly drizzle in the warm water and process for 45 to 60 seconds until a wet, fluffy "dough" forms. This will not look like regular dough - it is drier and more crumbly but sticks together when pressed. You are going to make 6 tortillas with 3 on each baking sheet. Form 3 balls of dough, 1/4 cup each in size, on each baking sheet. Using the extra piece of parchment paper from step 1, use your hands to roll out each ball into a 1/8-inch thin, 6-inch diameter tortilla. Make sure to adequately space out your tortillas so they don't touch. Please take your time when smoothing out the dough to ensure it is even and the edges are smooth! This is important for your tortilla-enjoying experience. Bake tortillas for 6 minutes in preheated oven. The tortillas should be a pale off-white color and not too brown around the edges. Transfer parchment paper to countertop to allow tortillas to slightly cool. These are your soft shells. For hard shells: Heat small stainless steel pan over medium heat. Add 1 to 2 teaspoons beef tallow to coat bottom of pan. Use your hands to fold tortillas into the shape of a hard shell and press bottom side of shell into pan for 30 seconds until crispy. Place tortilla on side, maintaining the hard shell shape, and fry each side for 30 seconds. 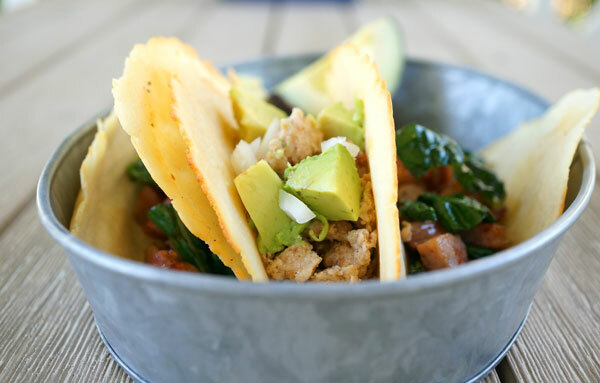 Let cool on paper towel lined plate before filling with your favorite taco night ingredients! I know it’s not really pot roast season anymore, but even on an 85 degree humid Florida day, I still sometimes want to eat a comforting bowl of easily digestible food! 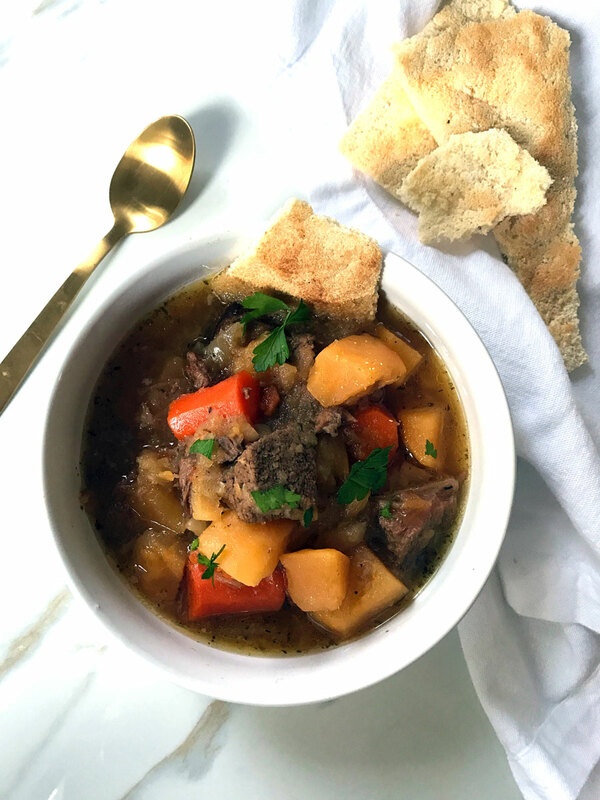 And I’ve been wanting to make a pot roast in my Instant Pot for ages – not the kind my mom used to make (sorry, Mom) but something flavorful and tender. I couldn’t be more obsessed with my Instant Pot! I made this Pot Roast in less than 1 hour and the meat is pull apart tender and paired with perfectly cooked root veggies! I get most of my grass-fed beef from Butcher Box and US Wellness Meats these days. In my new neighborhood, I have to drive at least 45 minutes to get freshly butchered grass-fed meats, so ordering online is convenient and I’m guaranteed the animal was raised and fed well. Gone are the days I had 3 Whole Foods within a 15-minute drive. I’m still mourning that loss. This Pot Rot roast recipe really cuts down on the time and ingredients in a traditional roast which often contains red wine, butter and fresh herbs. I like the simplicity of dry herbs here so your chopping is limited to the vegetables and apple. I added apple, which you don’t typically find in a pot roast, for sweetness to balance out the meat and onion. Another way I cut down the time is by pressure cooking the roast for just 50 minutes and then cutting it into large chunks which then go back in to pressure for 10 minutes with the veggies. This creates more surface area for the meat to absorb all that delicious beefy-onion liquid! Whoo! I’m recovering from last night’s Flaming Lips show. They put on such a performance every single time, and the older they get, the more wild it gets. There was confetti, there was an LED light explosion, there was a grown man riding a unicorn wearing inflatable wings, and there was so some spectacular people watching. If you have the opportunity to see them live, even if you don’t know their music, go! Especially if you’re a fan of Pink Floyd and more experimental music. We didn’t get to see my favorite song since we had to get home to Grace by 11pm though. We played the live version this morning during breakfast for her though! The only other show we’ve seen since she was born was Austin City Limits last September! It’s still hard to leave her at night because I like to be there for bedtime. I don’t think I’ve mentioned it here but I’m going to be leaving her for the first time for 4 DAYS (gahhh!) for Meg & Shawn’s Soul Sista Getaway in Boulder! My husband and I love Boulder and have visited several times, so he’s going to come with and just go do his own thing while I participate in all the fun events they have planned like eating and yoga and eating. You can reserve your spot for the Soul Sista Getaway here from June 23-25th, 2017! This Beef Pot Roast is tender, flavorful & on the table in an hour! Place beef loin roast in Instant Pot insert with fat cap side down. Rub the dried herbs, garlic and onion, and sea salt on the meaty side of the roast. Brush balsamic on top of the meat and layer with onion slices. Pour broth around the roast. Seal the lid and set to cook on "Manual" for 50 minutes. When timer elapses, vent the lid and transfer the roast to a cutting board. Slice against the grain into 1-inch chunks. Return meat to the insert along with the vegetables and apple. Seal the lid and set to cook on "Manual" for another 10 minutes. When timer elapses, vent the lid, stir in the coconut aminos to slightly break up the onions and rutabaga to help thicken the liquid. Serve warm sprinkled with parsley. You may also use other large cuts of beef like chuck roast. Now that Grace is eating 3 meals a day and sometimes a snack too – I’m in the kitchen more than ever! I’m still working on a post about how I introduced solids to her, but it’s taking me awhile – mostly because I’m always cooking for and cleaning up after her! This leaves little time to prepare meals for me and my husband either. 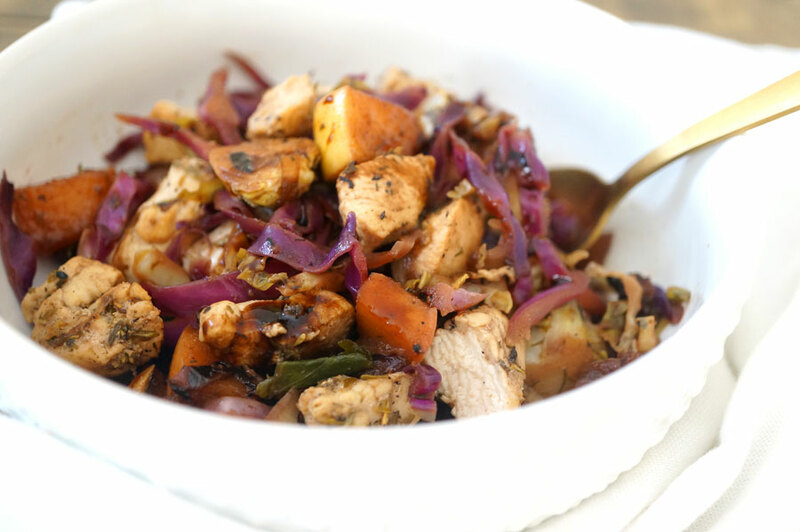 Not to worry because for some reason combining protein & veggies in a bowl with the perfect amount of seasonings and finishes constitutes for a very delicious meal indeed – without any forethought or planning. I don’t have brain cells reserved for future events these days. If you haven’t noticed, I rarely post any complicated recipes on this site. Mostly because I don’t make complicated recipes and second because you don’t need one to make a balanced, tasty dish like this one. I get a high-quality balsamic vinegar from THRIVE Market. Thrive Market Organic Extra Virgin Olive Oil: I’m Middle Eastern so I know my olive oil. This single-origin Greek olive oil is thick, bright, golden and peppery in flavor and really makes a salad pop! Get 25% off your first order with Thrive + free shipping! I am all about shredding my veggies in the food processor. 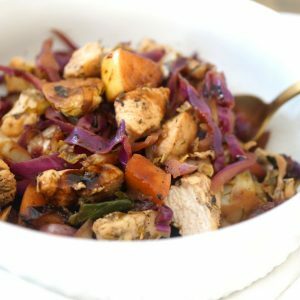 It is such a quick technique for preparing vegetables for salads and skillets! Just peel and chop your veggies in small enough pieces to fit through the lid of your food processor and it does all the work! I use the Cuisinart 11-cup Food Processor and have been for years. They have an 8-cup model, but I highly suggest getting the larger cup size. You’ll want to make a huge bowl of this tasty pesto slaw for lunches all week! 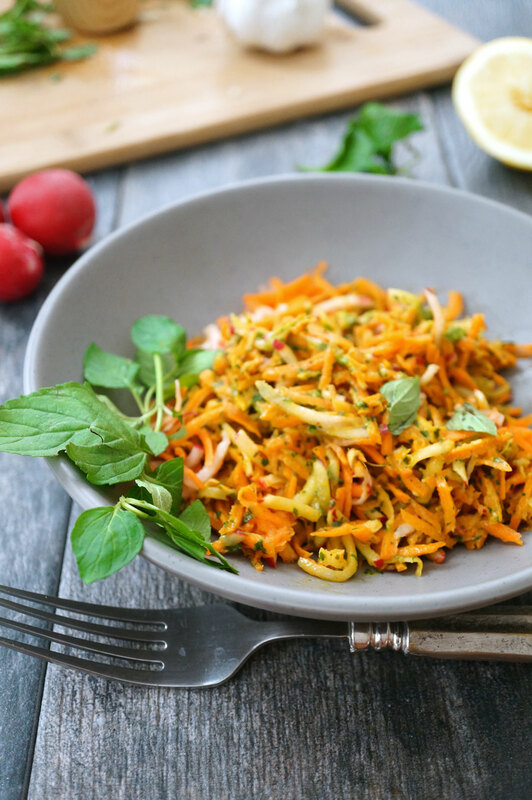 Get the recipe for Carrot & Radish Slaw with Mint-Turmeric Pesto! There are five food groups for me: meat, seafood, fruits, veggies and CRUNCHY food. I love a good crispy carrot stick, and I usually nibble on those while I cook dinner (so I don’t eat said dinner’s leftovers for the next day!) But on the AIP, it’s hard to get that crunchy sensation outside of veggies and fruits. Enter Mission Heirloom. 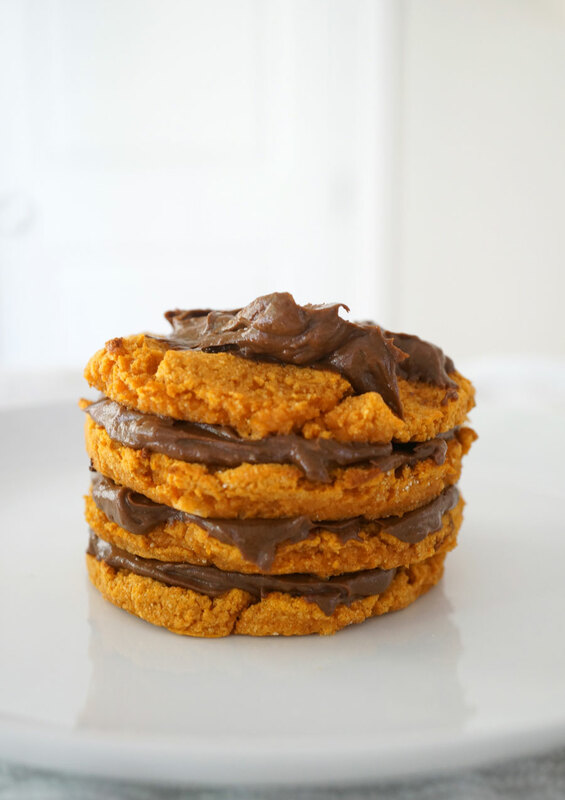 Enter 1-ingredient, grain-free Yucan Crunch. Enter my mouth. Yucan Crunch is a 100% organic, non-gmo AIP-Friendly cracker made from yuca root fiber! Mission Heirloom is a well-known Paleo-friendly restaurant in California that offers organic and biodynamic foods free from grains, soy, legumes, etc. They are very in tune with the needs of the autoimmune community and have special AIP menu items available all the time! I have contemplated taking a trip out to the San Francisco area just so I could dine with them! Yucan Crunch can be topped with an assortment of sweet and savory toppings! Just toast to your liking in a pan or in your oven (I eat them without toasting for time’s sake) and get creative with toppings! Layered with pate, avocado slices and kraut for a nutrient-rich 5-minute breakfast or lunch! Smeared with coconut oil, a touch raw honey, sliced strawberries and sea salt for a low-sugar treat! Topped with mashed sardines, avocado, lime juice, sea salt and diced cucumber for an omega-3 rich lunch! Finely crushed and blended with dates, coconut oil, orange zest & rosewater for a Middle Eastern inspired energy ball! 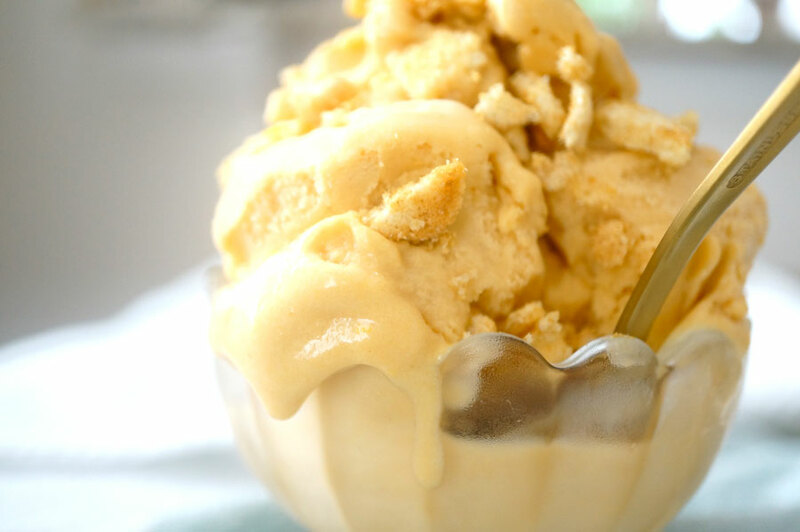 In this Ginger Cookie Ice Cream – little crunchy pieces are coated with ground ginger for a no-bake anti-inflammatory summer dessert! Yucan Crunch is now available on Amazon! You can even Prime it! 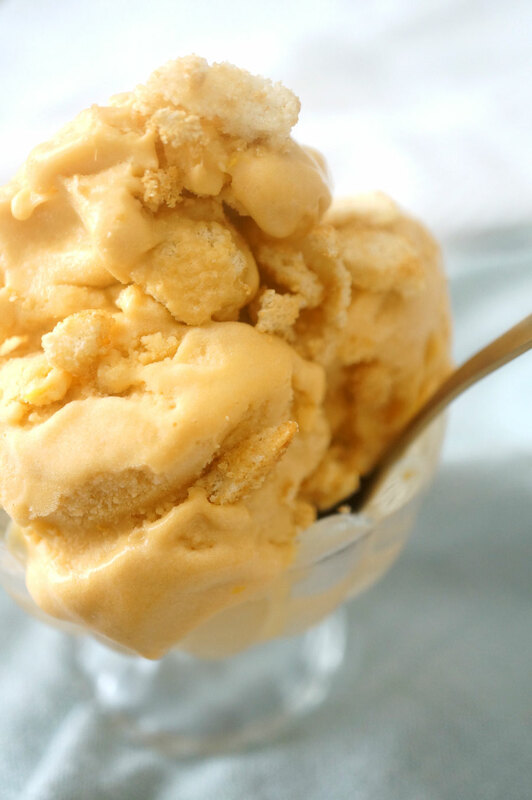 This ice cream tastes like a ginger cookie but is made with coconut milk & sweet potato! I use my Whynter Stainless Steel Ice Cream Maker for the creamiest homemade ice cream! Blend all ingredients except the Yucan Crunch, 1/2 tsp ginger and the coconut oil in a blender on high speed until smooth. Transfer to your ice cream maker. Churn ice cream according to manufacturer's directions. 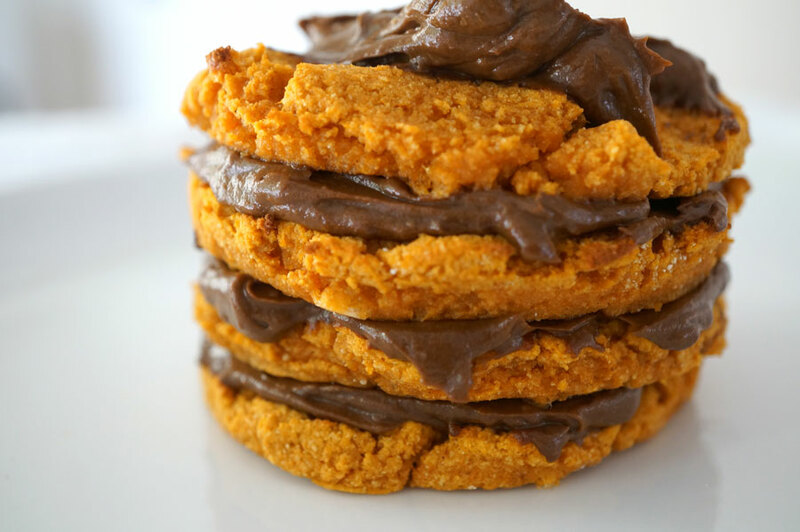 Meanwhile, toss the Yucan Crunch pieces with the coconut oil and ginger until well coated in a small bowl. When ice cream is almost finished churning, mix in these "Ginger Cookie" pieces until fully incorporated in the ice cream. Serve immediately or store in a glass container in the freezer for up to 3 days. Leave at room temperature for 15 minutes to soften prior to serving if not serving immediately. Before I get into this delicious, easy and fast Paleo & Whole 30 & AIP-adaptable side dish…let’s chat about what I’ve been up to lately! I have so many ideas swirling through my head for blog content that would provide such value to expecting and new moms, and I want to get it out there! But the irony is being a stay-at-home mom leaves me almost zero time to get any of it done! So I took the advice of many women and hired a nanny just 6 hours a week to start. It’s already made a big difference in my happiness, peace and productivity. I look forward to the two morning a week when I leave the house to go work and run errands baby-free. And Grace doesn’t even notice when I leave – she loves her nanny so much! This was such a necessary step in our relationship as mother and daughter. It provides us independence from one another so we can continue to pursue our daily interests and explorations. It’s wonderful for her to connect with another woman so quickly, and I’m much calmer knowing I have someone to help me during the long weeks. My husband is gone almost 60 hours a week AND works when he gets home, so I was getting worn down fast trying to juggle the blog, Beautycounter and baby (and a baby who wakes up at least 2x a night to feed). 3 B’s I’m super passionate about and there weren’t enough hours in the day for all of them.Obviously the human B gets all my attention first! Now onto this tasty Lebanese-inspired easy side dish! I’ve been loving pan-toasting or roasting my cauliflower rice lately because it doesn’t steam cook and get mushy but instead keeps it’s firmer bite. Turning it into couscous is a a no-brainer! This is necessary if I’m going to call a dish couscous because a true Middle Eastern cous dish is not a mushfest. 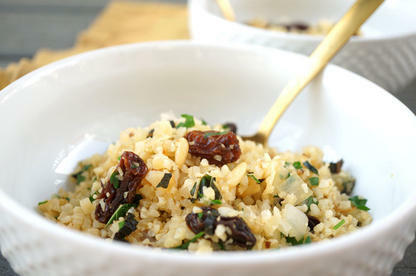 This “rice” dish is flavored with toasted pinenuts, raisins, parsley, mint and lemon + so addicting. It’s so easy to make it could easily become a frequent go-to for your family. I ALWAYS keep an abundance of fresh herbs in my fridge. Just wash and dry them well and wrap them in paper towels in a sealed bag, and they will last a couple weeks for sure. I have fresh vibrant parsley that is almost 3 weeks old in my fridge using this storage method! Fresh herbs are incredibly dense in minerals, provide bright flavors to your finished dishes and are plain old beautiful to look at! Wondering what you should serve this with? What about my AIP Beef Shawarma or my Crispy Lebanese Chicken? This grain-free couscous will get cure your craving for Mediterranean fare! Fragrant Middle Eastern-inspired low carb cauliflower cous cous side dish! Serve with my Beef Shawarma or Crispy Lebanese Chicken linked in the blog post. Heat olive oil over medium heat in a large stainless steel skillet. Add white onion and a pinch of sea salt and sautee for 3 to 4 minutes until browned. Add pine nuts and toast for 1 minute until fragrant. Add cauliflower rice with another pinch of sea salt to the pan and cook, stirring continuously, for 5 to 6 minutes until the cauliflower is crisp tender. No mushy cauliflower rice! Continuously stirring the rice releases the steam so your cauliflower rice toasts rather than steams in the skillet. Remove skillet from heat and stir in the raisins, herbs, and lemon juice. Taste and add more lemon juice and sea salt, if desired. I prefer to use jumbo raisins because they are more plump and juicy. You may use 3 cups of homemade riced cauliflower in place of the Trader Joe's rice. 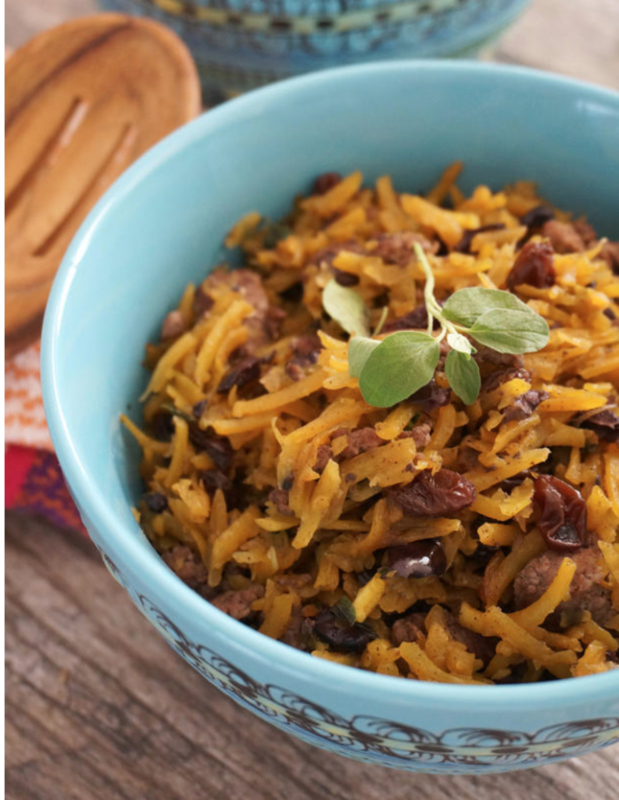 For AIP, omit pine nuts and replace with equal amount chopped dried apricots. I have been including grapefruit in my diet most days of the week recently. My intuitive eating had me craving citrus all winter and I will easily enjoy 4 mandarins or 2 grapefruit or 4 mandarins AND 2 grapefruits in one day. I quickly realized why I was craving citrus. My digestion hasn’t been totally amazing since giving birth. I found it difficult to digest fats, especially saturated fats, my chronic constipation returned in bouts, and I was even having difficulty tolerating larger amounts of water which was leading to dehydration and more constipation. Oddly, this last bout began suddenly on December 12th and lasted almost 2 months until I sought help. I have been seeing a colon hydrotherapist for 4 weeks now and my digestion has returned to normal. I used to see one a few years ago, intermittently, in times of need when my Hashimoto’s and leaky-gut induced constipation lasted weeks at a time, but I had never established a weekly treatment. I plan on writing an article soon on colon hydrotherapy because I rarely hear it discussed in the whole foods and natural health movements, yet it has been such a beneficial therapeutic treatment for me almost 10 years now. Which brings me to why my body has been craving citrus, particularly grapefruits, like mad. My digestive problem was low stomach acid. 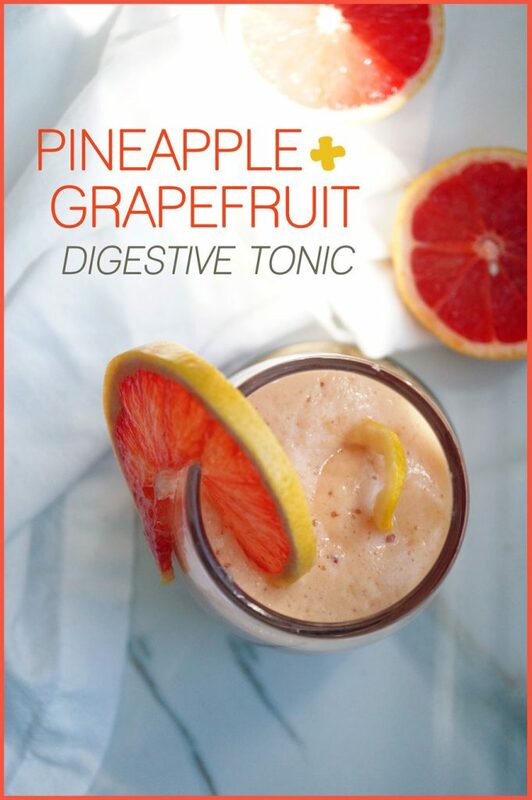 Citrus, particularly grapefruit and pineapple (not a citrus fruit per se), assists digestion in multiple ways. First, they contain fiber which we know is vital for gut health. Second, pineapple contains bromelain which is an enzyme that can help break down our foods, which is important if you have low stomach acid and an impaired ability to do this on your own. Third, grapefruit, my colon hydrotherapist told me, can increase the acidity of your stomach leading to improved digestion and break down of food. This is particularly important to those of us with autoimmune diseases since poor digestion can exacerbate leaky gut and food allergies. 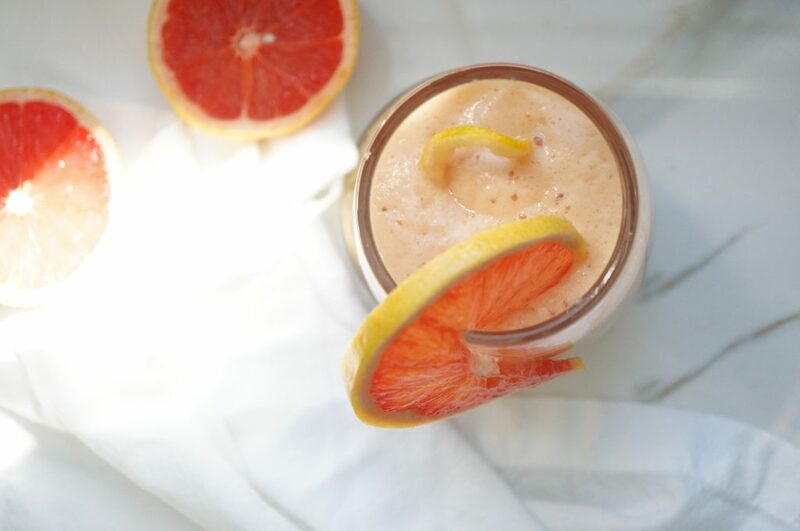 Even if you don’t have low stomach acid, this Grapefruit + Pineapple Digestive Tonic is DELIGHTFUL and a lovely way to increase your consumption of vitamin C and enzyme-rich citrus, which we can ALL benefit from! Peel and remove the pith of the grapefruit. Chop into segments. 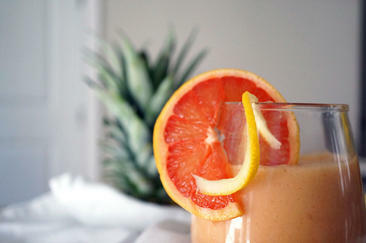 Blend the grapefruit segments and remaining ingredients in a high-speed blender until smooth and frothy. Pour and enjoy! You may add Vital Proteins Collagen Peptides to this beverage for a hit of gut-healing collagen.